Poet, prose writer, translator, journalist, editor. Winner of the Jiří Orten Award (1998) and the Magnesia Litera for poetry (2005). He was born in Cieszyn on 23 March 1975. 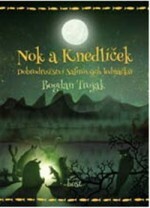 With his new collection Trojak has consolidated his position on the contemporary poetry scene. Despite a gradual transformation, the world of his books still maintains some constant features which make it into a compact whole. This is a kind of "long-ago and old-world" quality whose source lies within a reality which in the author’s eyes is definitely not devoid of mystery. Despite this, Trojak is not a traditionalist poet. Quite the contrary! This is shown, for example, by his work with language. As a well-read author, however, he is conscious of the tradition he is following is. 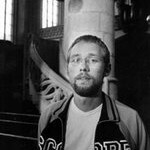 He co-founded the poetry group and periodical Weles (which is still published today) in Brno in 1995, while still a student. 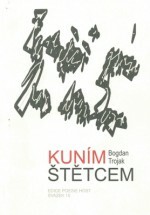 He made his debut in magazines, and in book form with the collection Kuním štětcem (Marten-hair Brushstrokes, 1996). He was awarded the Jiří Orten Award for the collection Pan Twardowski (Mr Twardowski, Host, 1998). “A comparison can be made – in connection with Poland and Polish literature, which the author often associates himself with and which he also translates – with the linguistic poetry of Ryszard Krynicki and the intellectual verse of Stanislaw Barańczak, or with Vladimír Holan,” writes academic Dalibor Dobiáš in a review of the collection. 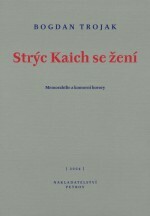 This was followed by the collection of poems and short stories Jezernice (Větrné mlýny, 2001) and A Strýc Kaich se žení: memorabilie a komorní horory (Uncle Kaich is Getting Married, Memorabilia and Intimate Horror Stories, Petrov, 2004). As Olga Stehlíková writes in Lidové noviny, “Everything is refined, mysteriously gentle, almost old-fashioned for a thirty-year-old author; if you add to that the old-school patriotism, inventive landscape descriptions and enigmatic nature, Trojak stands out as a poetic individualist. But here the exaggeration and humour are new and distinguish the collection from the previous ones (the black humour promised on the back jacket flap is probably represented by the aforementioned ballad which rivals the film version of Svatební košile from Kytice).” It was awarded the Magnesia Litera for poetry for 2005. 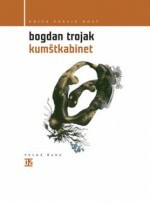 A year later Trojak summarized and supplemented his existing body of work with the composition Otto Lillienthal for the book Kumštkabinet (The Trick Cabinet, Host, 2005) and added the collection of prose Brněnské metro (Brno Metro, Host, 2007). He then moved to the countryside and established the Komorní vinařství Trojak (Trojak Chamber Winery). The way he nurtures and processes wine is similar to how he writes poems – with humility and an almost old-fashioned respect for the land and tradition.